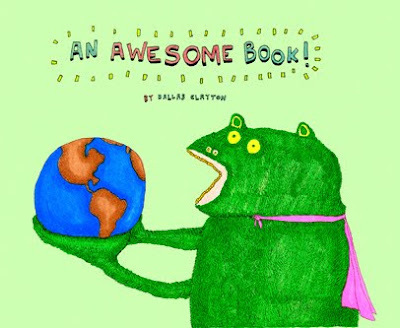 A while back I bought an awesome book called "An Awesome Book" by author and illustrator Dallas Clayton. He wrote this book for his 5 year old son. It's a book every 5 year old should read it and every 50 year old should read it too and everyone in between. What I liked about the book was that it was very inspiring yet very simple. But sometimes I think life should be just that... Simple. The book has been a great success and now he has started a foundation called the Awesome World Foundation and for every book he sells he's going to give one away. So please go buy a copy of this awesome awesome book.